A 2016 WorldatWork survey found that 76% of employers were using signing bonuses to attract key employees. Signing bonuses are described as “a lump sum of money that an employer provides to a prospective employee. 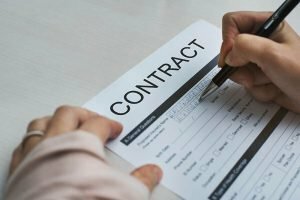 The purpose of the signing bonus is to entice the applicant to sign-on with the employer’s organization.” It is the employer’s hope that the extra money will be an incentive for the prospect to accept the job offer. In this issue of Astronology® we will briefly discuss the benefits of, the concerns associated with, and the alternatives to using signing bonuses to draw talent to your organization. But buying talent comes with concerns. The first two concerns involve employee morale. First is the attitude and morale of the new hire. In some circumstances, candidates can develop the “hired-gun” syndrome. Workers come to believe that their services are for sale to the highest bidder. They put up with an organization until their obligation has expired and take the next offer. All the efforts of attempting to create an organization where we ask employees to participate as owners become irrelevant. These employees learn they need to keep their noses clean, walk the corporate talk to a point, and move on. Their attitudes towards the mission and vision of the organization is that of tolerance. The second is the possible development of a “second-class citizenship” attitude by the most loyal and potentially best performing employees. These are the employees who absorbed the goals, objectives, and spirit of the organization. They sit on the sidelines and watch the hired guns continue to be rewarded for adequate performance and short-term tenure. There is resentment, even when the organization explains it had to pay the bonuses, or production, business objectives, and the ability to remain viable would be in jeopardy. Employees hear this answer, but damage may have been done to once loyal staff. A third concern is the candidates attempting to “cash and dash.” In high demand fields competitors will sometimes make counteroffers to current recruitment offers. For example, an employee is given a $5,000 recruitment bonus and promises to remain employed for three years. After one year, a competitor offers this worker employment. The worker accepts, and the competitor gives the worker a new bonus of $5,000 and pays the outstanding bonus of the former place of employment. The employee has made $10,000. An employee with a skill in high demand could continue this indefinitely, or at least until they become exhausted with moving from one place to another. First and foremost, organizations today need to look at the use of recruitment bonuses for how the bonuses impact their abilities to meet talent demands and impact internal staff. One alternative is to offer finders fees to internal staff for referring a worker to the organization. One organization splits the fee between the new recruit and the internal employee. Another alternative to recruitment bonuses is to couple the bonus with a longevity recognition program. For example, if we are providing $5,000 to new recruits, there should be something of similar value available to those who have remained loyal and productive over the years, such as an increase in pension contribution, a decrease in health insurance premium payment, or additional time off. Regardless of the alternative, never forget the value and contribution of top performers and the most loyal staff. They are the ones that make the difference in an organization’s survival. Does your organization use sign-on bonuses to attract new hires? What are the restrictions used to keep these offers fair? Please share your thoughts in our comment section below!